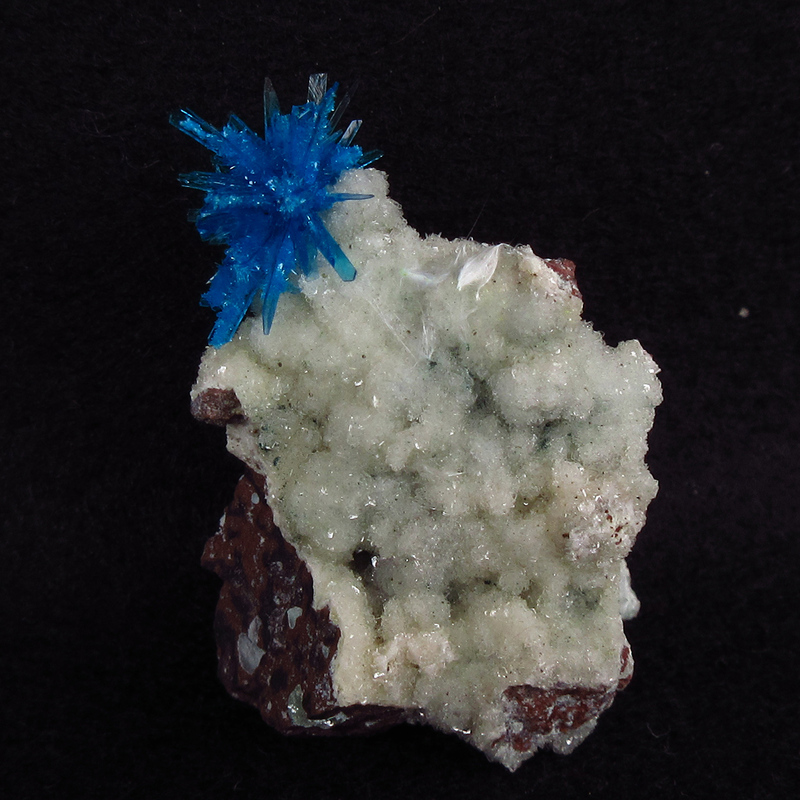 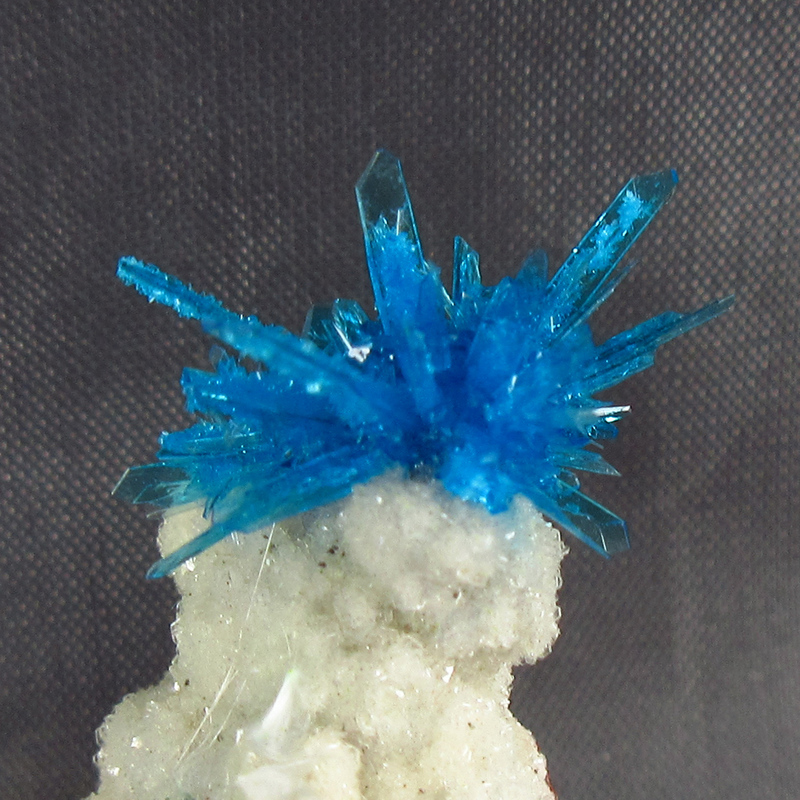 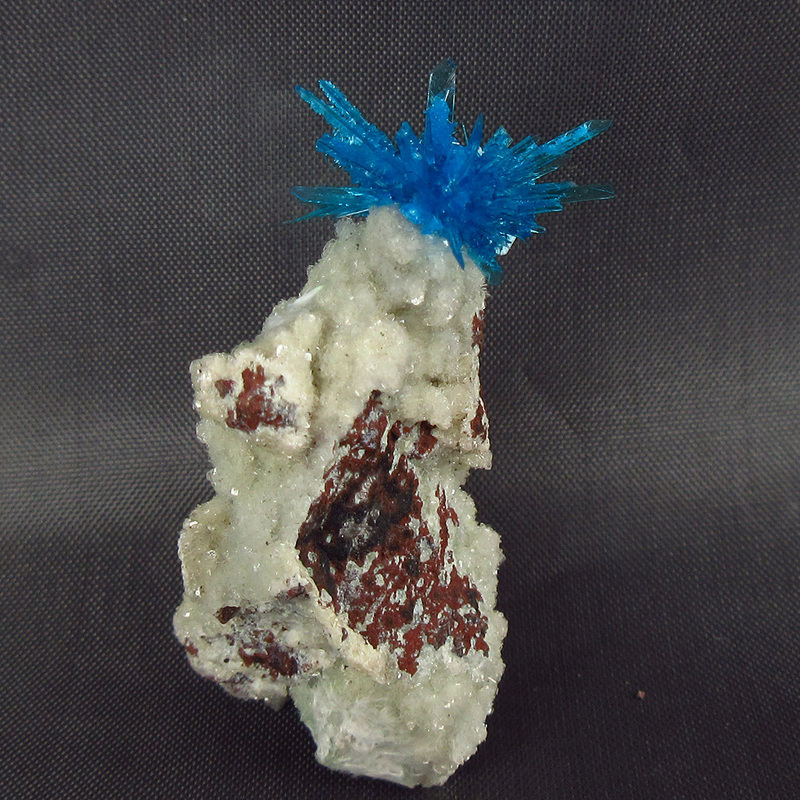 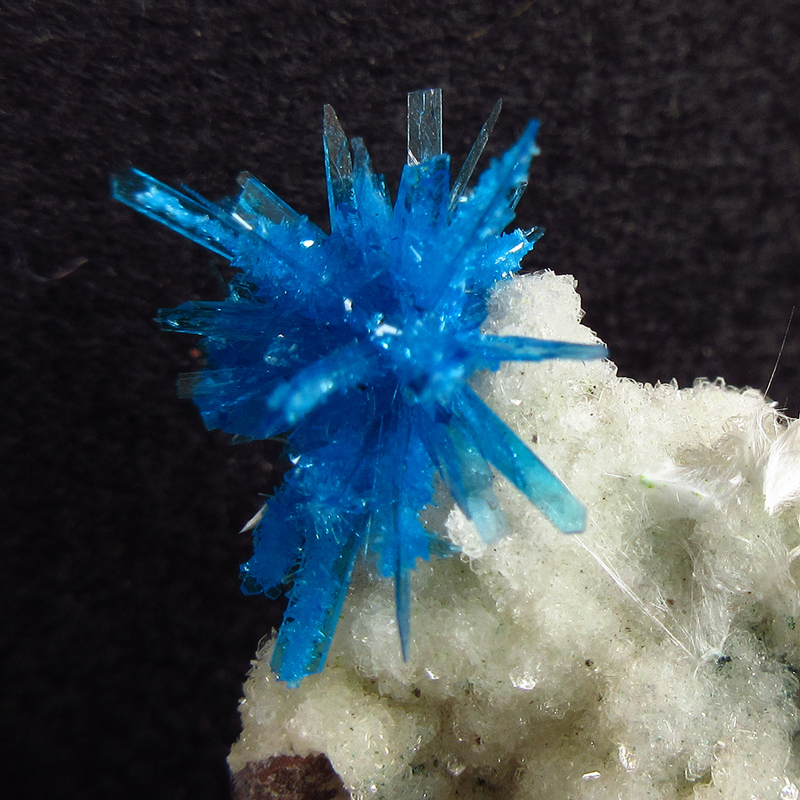 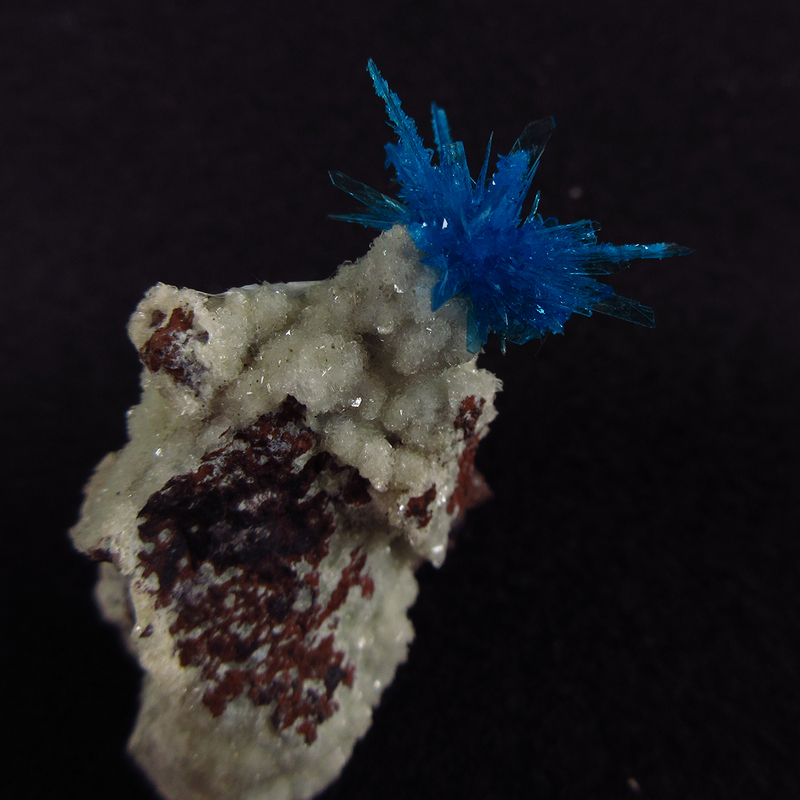 Star like formation of dark blue crystals of pentagonite on matrix of fine heulandite. 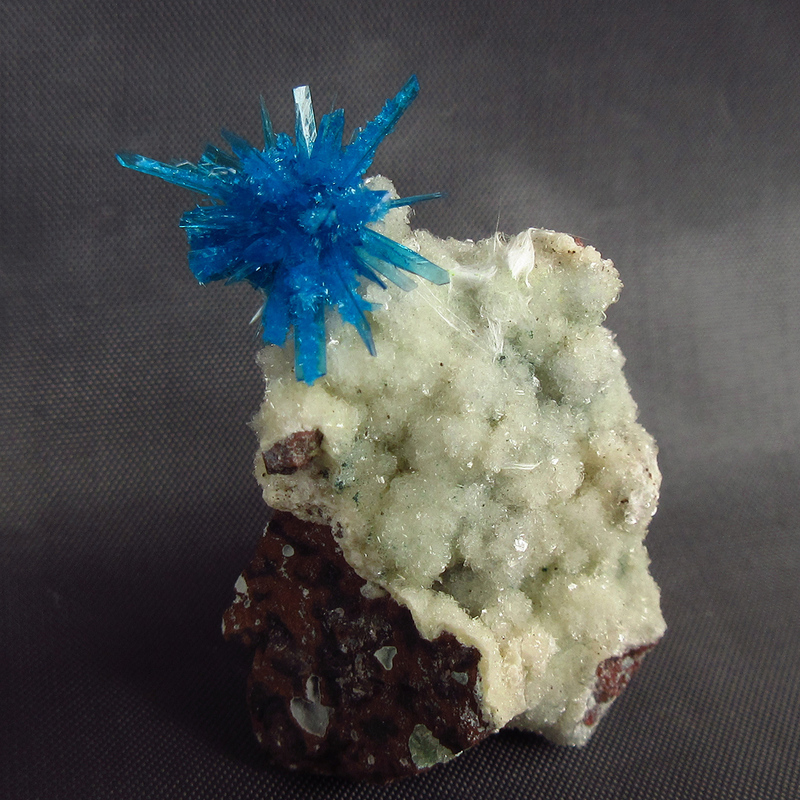 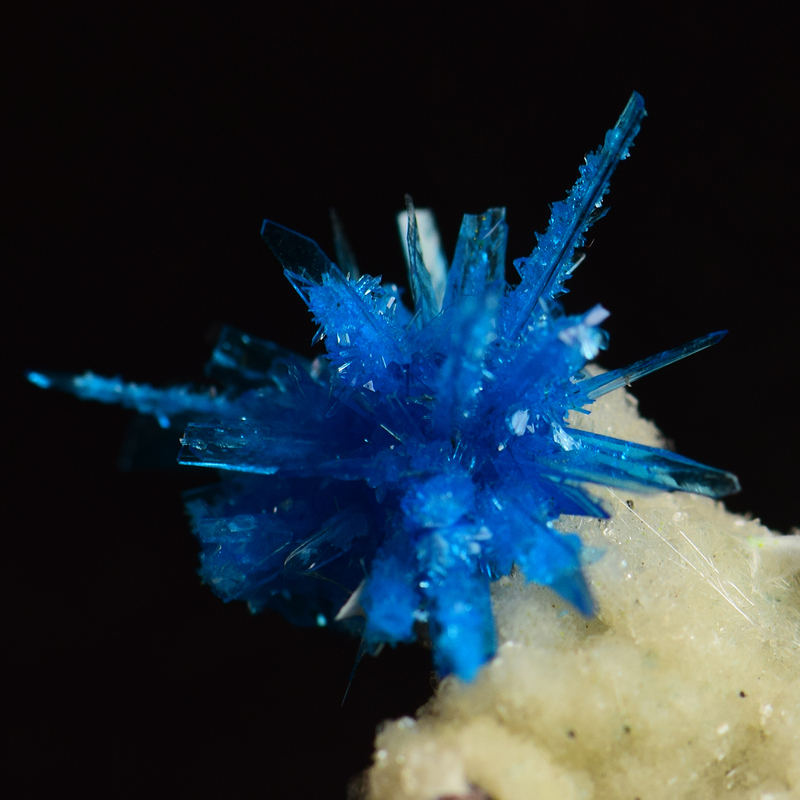 Wagholi, Pune - India is the only one location in the whole world, where best quality cavansite & pentagonite is found. 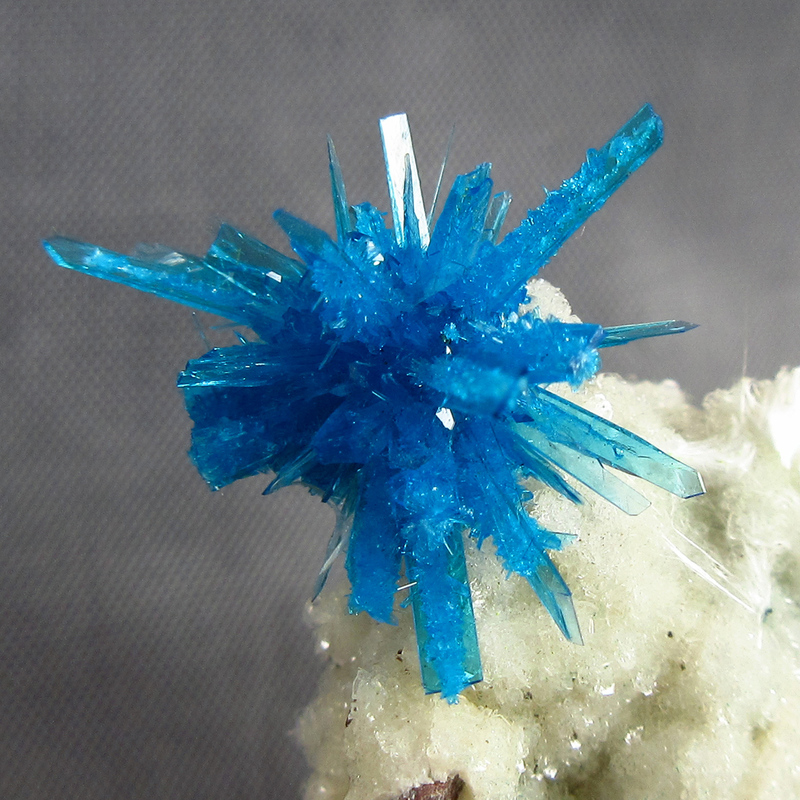 Due to expansion of localities around, mines are almost on the verge of closing down.